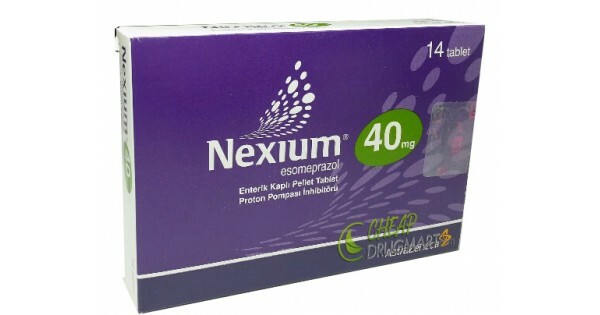 Nexium is a proton pump inhibitor and as such it is used for conditions whose either cause or contributing factor is stomach acid, also known as gastric acid. Nexium does this by inhibiting the production of gastric acid by inhibiting the ATPase in the parietal cells in the stomach. As this enzyme is prevented from doing its work, the final touch in producing gastric acid is prevented. Nexium usually inhibits about 70% of production of gastric acid, with this percentage getting higher as the treatment is carried out. It is still the most effective proton pump inhibitor on the market and it has been ever since it was introduced onto the market in the 2001. There is a number of different conditions that may be treated with Nexium and these include: GERD, gastric and duodenal ulcers, dyspepsia and Zollinger-Ellison syndrome. 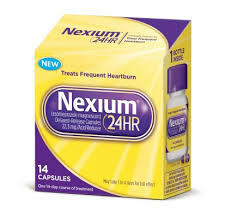 The first on the list of the conditions that is treated with Nexium is GERD, or gastroesophageal reflux disease. His condition is caused by the relaxing of the lower esophageal sphincter, which is responsible for shutting the top of the stomach, thus preventing anything from stomach from getting back up into the esophagus. However, with GERD, this does not happen and gastric acid is able to come up into the esophagus. As the esophagus hasn’t got the lining to protect the tissue (like stomach does), the gastric acid acts on it, causing pain that is commonly called heartburn. There are other symptoms of GERD, like for example regurgitation, dysphagia (troubles swallowing), odynophagia (painful swallowing), nausea, increased salivation and chest pain. If left untreated, GERD may cause injuries to the esophagus, such as reflux esophagitis, esophageal strictures, Barrett’s esophagus and esophageal adenocarcinoma. 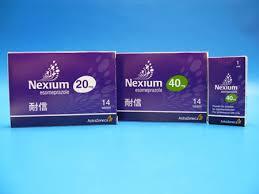 Nexium is capable of treating Nexium via its inhibition of the secretion of gastric acid. With the lowered levels of gastric acid in the stomach, the amount of gastric acid that comes up to the esophagus is also much smaller. The following two conditions are similar and they differ mainly in that the places where they occur are different. We are talking about gastric and duodenal ulcers. The gastric ulcers occur in the very stomach, while the duodenal ulcers occur in the duodenum, the upper-most part of the small intestine, leading out of the stomach. These ulcers are in fact discontinuations of the mucus that protects the lining of the stomach from gastric acid. These discontinuations are caused mostly by bacterial infection by Helicobacter pylori, but they may also be caused by overuse of NSAIDs, such as ibuprofen and aspirin. In case of ulcers, gastric acid is the main propagator of different symptoms. The first and the most obvious symptom is the pain that occurs when gastric acid comes into contact with the lining of the stomach that is exposed due to ulceration. Other symptoms of ulcers (both due to the functioning of the gastric acid or from the ulcerations themselves) are bloating, fullness, rush of saliva, weight loss, nausea, vomiting, weight loss, vomiting of blood, tarry stools. In the most severe cases, ulcers can cause perforations which need to be treated surgically immediately. With the reduced levels of gastric acid due to use of Nexium, both gastric and duodenal ulcers are much easier to tolerate. Dyspepsia is the third condition treated with generic Nexium and it is mostly caused by either of the first two conditions, either GERD or gastric or duodenal ulcers. However, it can also be caused by cancer and this is a possibility that must not be ignored, especially in patients older than 55. Dyspepsia is commonly known as indigestion. The most common symptoms are pain in the upper part of the abdomen, abdominal fullness, bloating, nausea, belching and heartburn. It is also treatable by Nexium, as the reduction in levels of gastric acid can be of great help in such cases. The last and the least common condition that may be treated with Nexium 40mg is the Zollinger-Ellison syndrome. It is a syndrome that involves three different conditions. It involves the overproduction of gastric acid, severe peptic ulcers as well as gastrinoma, or the tumor of pancreas. The most common symptoms are stomach pains, diarrhea, tarry stools, vomiting and weight loss. Certain symptoms of the condition can be treated with Nexium, but it will still be necessary to treat the tumors that are also involved in this condition.